I can do really basic readings using playing cards but I would like to learn more. I have not found a good book that expands on the basics. I see that Lucky Mojo sells only one book on reading playing cards, which is Playing Card Oracles Divination Sourcebook, but it did not have a great review on Amazon. Has anyone read this book and is it helpful for more advanced study? I am interested in this sub-forum for divination in regards to hoodoo and Lucky Mojo products. I realize it could be a mayhem of "OMG, what does this mean, what does that mean" and obviously readers get paid to answer these questions, but I think others might have some thoughts and questions on choosing which types of non-card divination products to use, card spreads for particular situations, or even how to continue their studies. I don't know how basic or advanced your current level of reading may be-- Lucky Mojo carries two general-topic books on fortune telling -- "Complete Book of Fortune Telling" and "Zingara Fortune Teller" (ed. : currently out of print and discontinued --cat) which cover reading playing cards, albeit in a summarized manner, amidst many other topics, such as tea leaf reading, palmistry, etc.. Personally, I found the Playing Card Oracles book by Ana Cortez to be a solid explanation of her deck and interpretative system. [ Re: Amazon's ratings--there are currently only two people who have reviewed the book on that site, and one loved it and one hated it.] That said, please note that her deck bears more resemblance to the Lenoremand-style decks, with the pips and trumps overlaid on a symbolic image related to the divinatory meaning. The interpretations and reading methods can transfer to standard playing cards reasonably well, but her system is not identical in aesthetic (or interpretative bias) to most standard playing card reading systems. That said, you may also find it useful to check the Divination Book Shop section (near the bottom of the Lucky Mojo shop page) and look in the Cartomancy: playing cards category for more titles relating to reading playing cards and for other divination books. I have been trying to learn to read the Spanish playing cards also known as cartas espanolas and have had no luck in finding a book written in English. I have found one written in Spanish however when I translate some of it does not make sense. diffrent areas in Mexico use diffrent dialect. one word can have many meanings but when you use an internet translator sometimes it gives just the literal translation. I also need help in the spread. I have found two people that can read the Spanish deck however one will not teach me and the other is in another country and cannot be reached. Please need help. There are a few different books LM sells for cartomancy using playing cards (as opposed to Tarot). 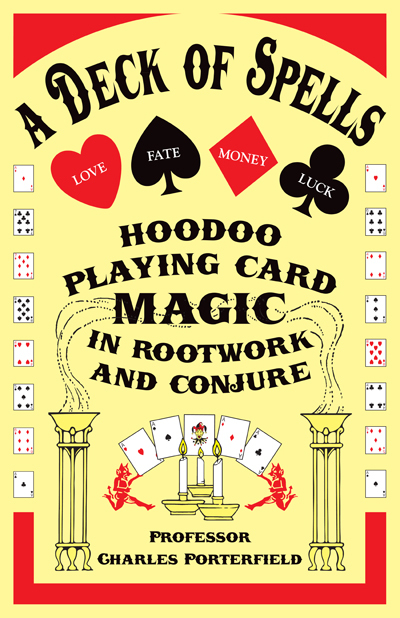 I would really like to learn this, and I wondered which of the books represented the most "traditional" hoodoo way of reading playing cards (I know reading playing cards is fairly new in the history of divination). Playing card divination is about contemporaneous with the development of African American hoodoo -- that is, with the history of the United States. I like the book "The Playing Card Oracles" for a modern approach. But "The Zingara Fortune Teller," a reprint of a book from around 1900, will give you a more traditional, old-school viewpoint. I don't want to get too far off the beaten path for the forum, so feel free to tell me to ask elsewhere but what's the basic high-level difference between Oracles having a more "modern" approach versus a more old-school one? Years ago I had a woman in New Orleans read a "short stack" of playing cards for me instead of Tarot cards. Does anyone on here use them regularly or can compare their usefulness vs. Tarot cards. Also, which is the more traditional in conjure? I certainly like the everyday quality they have. So I've been learning/ self-teaching on different forms of divination. Yesterday for the 1st time I tried a yes/no card method I learned, the card that came up was the Ace of Cups / Ace of Hearts (upright) - which if I understand my research, is a Yes answer. 2) I was a bit confused because I read two different ways to do ask a Yes/No of the tarot - both are very similiar except one called for three piles of 13 card and one calls for one pile of 13 cards - unless you don't pull an Ace, then you are to start a second pile and again if no Ace - a third pile.. so if I understand that version correctly - then three piles of no Aces would be a resounding NO answer correct? I personally prefer Geomancy or the Pendulum for yes/no questions. I am not fond of the these methods people try to develop for yes-no questions for the Tarot. It seems nonsensical. I much prefer, shuffle, cut, and pull three cards and you'll know whether it is yes or no. 1) The card that came up was the Ace of Cups / Ace of Hearts (upright) - which if I understand my research, is a Yes answer. Q: Is my house in danger of going up in flames from the wildfires raging just three miles away? A. Ace of Cups = NO. Water (rain or firefighting dumps from helicopters) will stop the fires before they reach your house. The method i know for yes/no with cards is called The Four Aces or Cutting Aces.In order to work it, you must use PLAYING CARDS, not tarot cards. 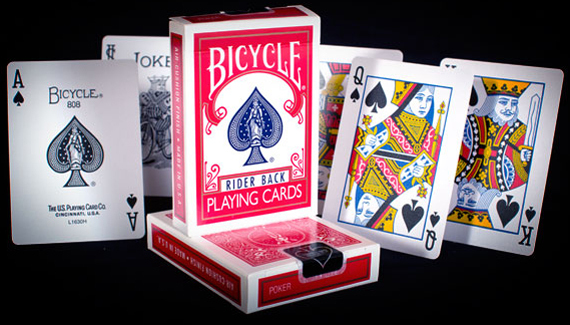 You need exactly 52 cards, no jokers, no tarot trumps, and no extra tarot court cards. Just the 52 cards. 52 divided by 13 = 4.Thus, when you have exactly 52 cards and shuffle and lay down 13, you are looking at 1/4 of the deck. You want to see if an Ace comes up in the first 13 cards (first 1/4 of the deck) or if more than one Ace comes up. 1 Ace = Weak yes. 2 Aces = Strong Yes. 3 Aces = Powerful Yes. 4 Aces = Yes and it will be better than you could imagine. 0 Aces = Really no. 1 Ace = Overcome obstacles and delays and you have a maybe. 2 Aces = Overcome obstacles and delays and things will turn out all right. 3 Aces = Overcome obstacles and delays and you have a weak yes. 4 Aces = Overcome obstacles and delays and in the end you have a solid yes. 0 Aces = No, and it will end in disaster. 1 Ace = Obstacles, delays, and oppositions, and if you get it, it will be worthless. 2 Aces = Obstacles, delays, and oppositions, and if you get it, you will not want it after all. 3 Aces = Obstacles, delays, and oppositions, and if you get it, it will be worth less than you hoped for. 4 Aces = Obstacles, delays, and oppositions, and if you get it, you will at least break even on it. 3) Can anyone recommend a good -straightfoward book on learning Tarot? I would start with the original book that goes with the set you have: Pictorial Key to the Tarot" by Arthur Edward Waite. When you absorb that and the Quick and Easy Tarot deck (the deck i call "training wheels") then you are ready to move on to an unmarked deck -- the regular Rider-Waite-Smith (RSW) deck, for instance. Read more about tarot decks and books in the Forum thread on tarot -- this is the playing card thread. Thanks! I love to use regular playing cards and the Rider-Waite tarot deck. Does the "Four Aces" method actually work? I've tried it but haven't really got "true" answers. Generally, most resources on card reading tell you to not to use your reading decks for playing games, I've even heard people say they shouldn't be riffle-shuffled. This information tends to get passed all over the internet and books, but I've never seen any sources cited that might point to the origin of the belief. I suspect it might be relatively modern, but I'm not sure. I can see some psychological benefit in treating a reading deck "special", at least while you're learning. It would become a kind of trigger to put you in "reading mode". I kind of question the practice after you've been reading so long it's second nature, though. At least from the psychological angle. One of my oracle decks even suggests in the Little White Book (LWB) (I know LWB's are usually worthless, in the practical sense, but some of them are fun) that the cards be used in various solitaire games and read afterwards, there's a game where you put together books of pairs and then read the last pair, as well as some other games. And of course a lot of french oracles are titled "le jeu" (game) this or "le jeu" that. On the other hand, these are solitaire games, people aren't handling your cards. I imagine that in the old days a lot of people would have had maybe one or two decks around the house and if they read, they wouldn't have had a problem using a deck that did double duty. What I'm trying to find out here, in my roundabout way, is whether Hoodoo tradition inclines more toward treating a reading deck as a sacred object, or the more practical approach of not worrying about that and reading with what's handy? And when/where did this "don't read a deck you play with" idea get started? Thanks. I am 64 years old. I learned to read cards at the age of 8. I have been a professional card reader since the age of 18. Until your post today i have never heard, "You must not read a deck you play with." "You must not read a deck you play with"
"A tarot deck will not work if it doesn't have the infinity symbol somewhere on the deck." "You cannot buy the deck yourself, someone has to give it to you as a gift." "You must never riffle shuffle." "You must never let anyone touch your cards." "You must keep your tarot cards wrapped in yellow silk." I don't know who starts these things, but they are dang stupid. Thanks for that, Miss Cat. It always smelled a little funny to me, and now I have confirmation. I'll file it with the others you mentioned. Oh, and this one: "You must bond with a new deck by sleeping with it under your pillow." "You must bond with a new deck by sleeping with it under your pillow." Oh, that's a good one. Not. I just read the Ana Cortez Playing Card Oracles book and have been using the cards and so far I really like it. What's really intriguing is that they (her father designed the cards) tie it to geomancy for an additional level of reading which, even if I move on from her specific system I think I'll continue to use the geomancy part. Cat - thank you so much for information, I am going to try the yes/no with a regular deck of playing cards this weekend! n00b (now mumma) -- like many of the binary systems (based on two, four, 16, etc. ), The Four Aces is a quick system and not everyone can find meaningful results in it. The more complex binary systems, such as I Ching, with 64 hexagrams plus 256 changing lines, tend to be more trusted than simple coin-flips, with only two results (heads or tails). However, simple binary systems using materials reasily to hand, like coins or playing cards, are always popular and do provide serviceable results for minor queries. They are not artfully interpretive, in the way that a gifted tarot reading is, but they also have the advantage of being very easy to learn, and they are free of charge to the user. Thanks for the note on the omissions above -- i fixed 'em. Not too long ago, I found a "Joker" playing card sitting on top of my garbage can. I don't know what it means, if anything at all. Could someone let me know if there is a meaning, spiritually for this card? catherineyronwode wrote: Playing card divination is about contemporaneous with the development of African American hoodoo -- that is, with the history of the United States. I like the book "The Playing Card Oracles" for a modern approach. But "The Zingara Fortune Teller," a reprint of a book from around 1900, will give you a more traditional, old-school viewpoint. I personally quite enjoy "The Playing Cards Oracles" book, and the cards. It is very easy to work with, especially if you are a beginner. I would also recommend http://cartomancy.wordpress.com for some prolific research into playing card divination. Finally, the Lenormand system, which has become very popular in the US in the last year is also based on playing cards, so working with those might be a good resource. LM carries these too. 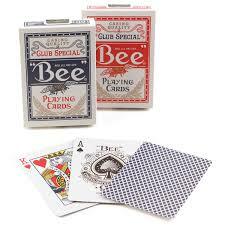 24 playing cards are used, just the kings, queens, aces, nines, and tens. cards are then reshuffled and laid out in what is called a ring around, usually this just reiterates what was viewed in the previous layouts, kind of a summary. certain card combinations represent certain things i.e..a nine and ten of diamonds together represent a pregnancy. I've never been able to "get it" the way they did. I can't find anything on this type of divination. gram said some "gypsy" taught her. Thanks for any input. When I was looking for a method of playing card divination, I was overwhelmed by the number of systems I found. Even within the system I use, different readers seem to use it different ways. I've had several readers explain some of how they read playing cards, and all of them have been unique. Playing cards seem to lend themselves to an almost organic use, that differs from reader to reader. That said, even if your grandmother's method doesn't work for you, save it, anyway! Write down as much information about it as you can get from your mother and grandmother. It could very well be that nobody else reads that way. A lot of divination systems have been lost, in just such a situation. I'm sorry I'm not more help. 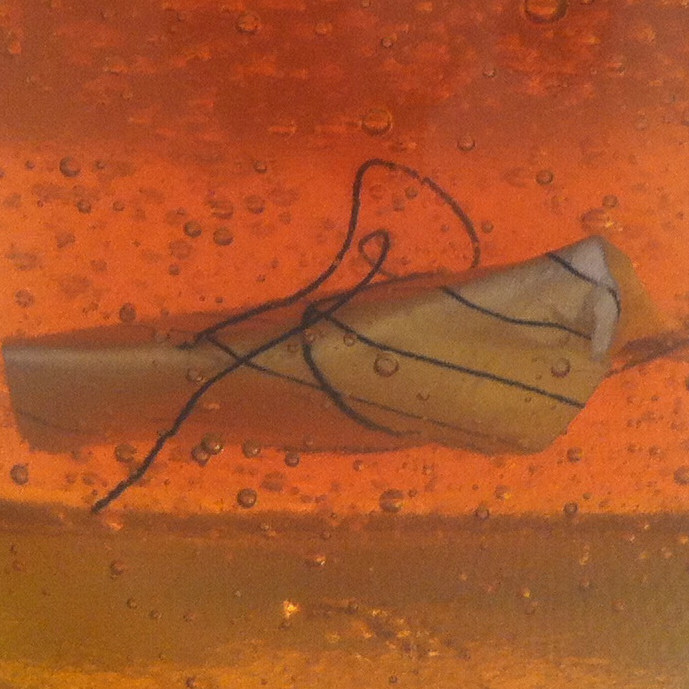 Another forum member may recognize it, and be able to tell you something more. Thank you, though; you've given me some ideas to try, with my playing card reading. You may just not be able to read for yourself, in an objective way. I don't believe that is terribly uncommon. You should stretch out, read for your friends. With more practice, and some experience, you might find that you're better at it, than you think. The technique I was taught has always worked really well WHEN I had my gram or mom read for me...I would guess that since I only read them for myself when I have a problem is where I let my emotions overcome the reading. I always tend to see the worst outcome, however when my mom reads she can give me more clarity. I was taught almost 20 years ago and just can't seem to "get it" as much as I would like. I always felt like this gift skipped me. My gram always had prophetic dreams and mine are always all the crazy that runs through my head coming out. My gram really did have some sort of talent with such things...I think my anxiety and OCD (Intrusive and Repetitive Thoughts) hold me back. I have been steeped in divining since 1990, and I have done lots of readings of various sorts for people at psychic fairs, psychic expos, Celtic festivals, tarot card parties, and so forth. These days, I mostly do my readings for people online. I have explored the tarot, the I Ching, playing cards, the Nordic runes, the Oracle of Rama, Ifa, the Kuan Yin Oracle, two Tibetan dice systems, and others. I have also created my own oracles. I have finally come to the conclusion that cartomancy, or divining with playing cards, is the most powerful divination system there is. Cartomancy is all I use anymore. For a reading, I shuffle and double-cut my deck fifteen or more times. Some of the cards in a divination are dealt from the deck, and others are figured out mathematically. My readings are 100 percent accurate 100 percent of the time. For conjure, most of the time I use honey jar spells (except that my glass jars are actually 4-inch Mason jars). As I am figuring out what to include in the jar, I do one-card cartomancy readings about it as I go along. For this applicaton the tarot is useless. It will lie to you sometimes. Once I finally get my Mason jar spell figured out correctly and thoroughly enough, I will get a green light from a one-card cartomancy reading. This one-card green light is more than information; it seems to actually activate the spell. As a result, a powerful ingredient I include in all my Mason jar spells is a picture of each of the four playing card suits. According to my divinations, the spell will not work very well without those pictures. As for playing card definitions, I created my own. Several years ago when I decided to create my own playing card oracle, I wrote down fifty-three (I include the Joker) units of information which, based on my experience, I felt would be the most helpful to have in a divination system. 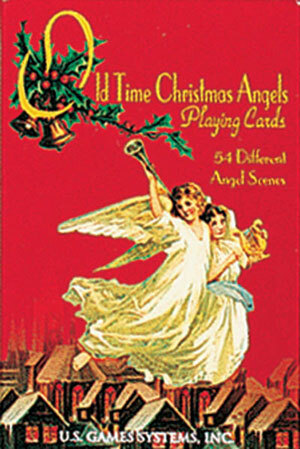 The I went through the deck and assigned them to the cards in accordance with traditional associations (more or less). Since doing that, I have been refining them and honing them until now I have a very useful set of fifty-three divinatory information units. I feel very comfortable with them. Has anyone ever heard of a form of divining with playing card referred to by the name "Beat the Old Man"? My grandmother would play one game of solitaire every morning and use the way the cards fell to determine what sort of day it would be. She would say that if she "beat the old man," it would be a good day. Hi glitch, I haven't heard specifically of this method (which I am totally fascinated by and hope another forum member knows something), but I have heard the Kings in playing card divination being referred to as "the old man". Depending on which King was pulled this could be a positive sign; or not. What a great and interesting thread! I've been experimenting a bit with traditional playing card reading as well. I do have one question, however. I found this awesome vintage deck that I love, but the cards are completely identical whether they are upright or reversed. Do most card readers of traditional playing cards read reversed meanings? I use a very simple system for reading playing cards. I interpret the number cards based on the meanings of the numbers in numerology. The face cards represent people - jacks are young people, queens are mature women, kings are mature men. Red cards are people with light hair/complexions and black cards are darker people, with further meanings based on the suit. For example, the Queen of Hearts is a kind, light-skinned or blonde woman. The Queen of Diamonds is materialistic. For a quick reading I just use a three-card layout, with the card on the left representing the past, the middle representing the current situation, and the card on the right representing the future. For longer readings, there are many other layouts one could choose. I like a nine-card square. In that case, the three cards in the top row combine to reveal the past, the middle row, the present, and the bottom row, the future. There you have it. If you have studied numerology at all, you now know everything you need (combined with your own intuition) to do a reading with a standard deck of playing cards. Several divination methods for reading playing cards can be found in this new book by Professor Porterfield, but another reason folks are raving about it is that it presents, for the first time ever, the old-fashioned African American way of using regular playing cards in spells of magic. We are taking pre-orders now. It ships on May 18, 2015. I'm not sure if i'm allowed to ask this but here goes. Has any one used an online cartomancy site? And if you have how do you weigh in on the accuracy of the readings? You already guessed that your question is off-topic here, but I have used a site like that which was free and it was just random, machine-generated cards, with little or no connection to me. I got what I paid for, which was nothing. $4.50, with the link provided and it didn't work. Is this an item that is still available through LM or am I better off ordering else where? Ah, that is an old SKU -- Thanks for catching it! We divided that into TWO SKUS, one for the RED back and one for the BLUE back. Here you go! I apologize in advance for the redundancy. I haven't had time to deduce an answer based on previous responses. I read in "Deliverance" of a playing card method in which you set up piles, three of them, and pull from the top of each set, and the purpose was determining if one was cursed. Ask: Am I cursed? and 3 black = Strong no; 2 black 1 red = qualified no; 2 red = qualified yes; 3 red = strong yes. Is this method appropriate for other yes or no questions? For example, if I wanted to find out if my ex still smokes, can I ask "Does [so-and-so] still smoke cigarettes" and pull from the top of each pile to divine an answer? When I get the deck, do I need to remove certain cards before trying this? Must the piles be even, or is approximation of equality OK? I will utter dark sayings of old: Which we have heard and known and our fathers have told us. Yes, that is a common, popular, and old-fashioned way to answer ANY yes / no question with the cards. Some people remove the Jokers, but if your deck has a black joker and a red joker, then you can just leave them in the deck. 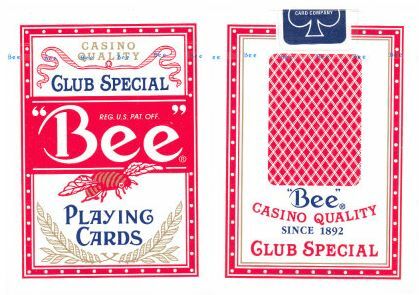 The piles result from cutting the deck twice -- sometimes called a three-card cut. Evenness of the piles is not important. Maybe I've fallen into the temptation of excessive divination (I won't go into detail here about my situation, I'll ask elsewhere), but I'm asking generally, perhaps for those who've encountered the same with the playing card method of stacks of three. Is it possible for malevolent spirits to interfere with your "yes or no" readings and potentially give you contradictory answers if you ask questions in a successively contingent way, or the same or similar questions -- days apart? I would say its generally accepted that one wouldn't ask the same question repetitively and usually the first answer, is in fact the answer. Also I think its very important to examine how you ask/phrase your question. Where to go from here I would say depends on what your question is. For instance, asking the question "will i meet my true love" every day will inevitably give you contradicting answers at some point. Perhaps changing it to "will [insert possible days plans] lead me on the path to my true love" on days this is "yes" pay attention to those around you, and any people that show up on multiple "yes" days. I hope this makes sense, maybe someone else has a better one Good luck!